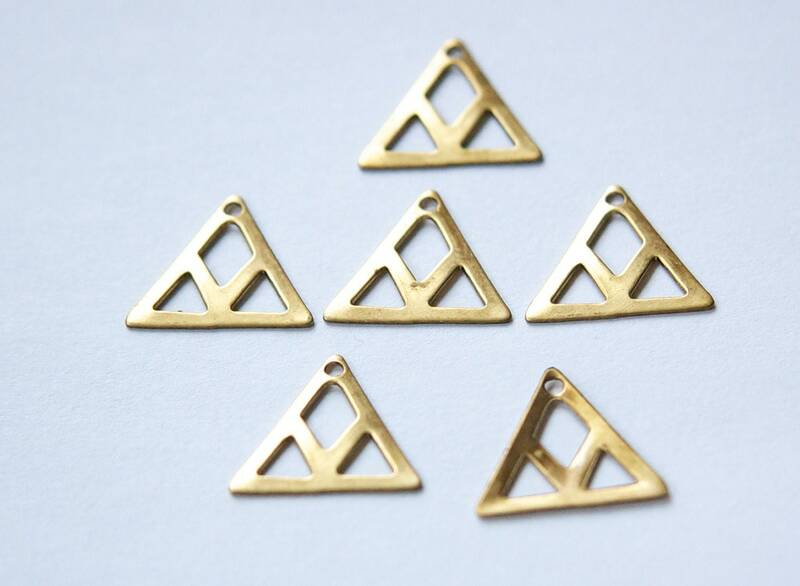 These are raw brass charms that are made in the USA. 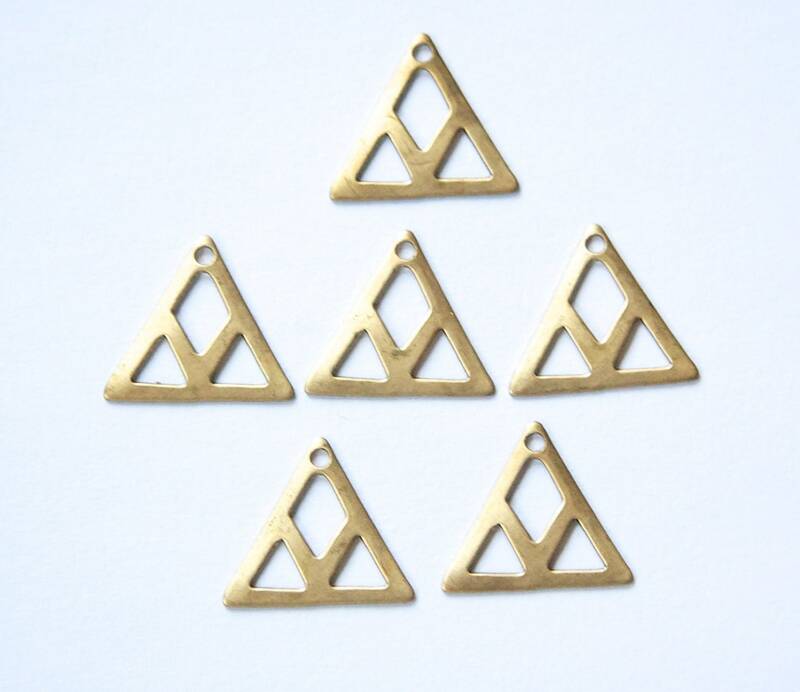 These have a triangular cut out design. These measure 16mm on all sides. You will receive 6 pieces. The shape is great and the edges are soft. Will make for some fun beading.